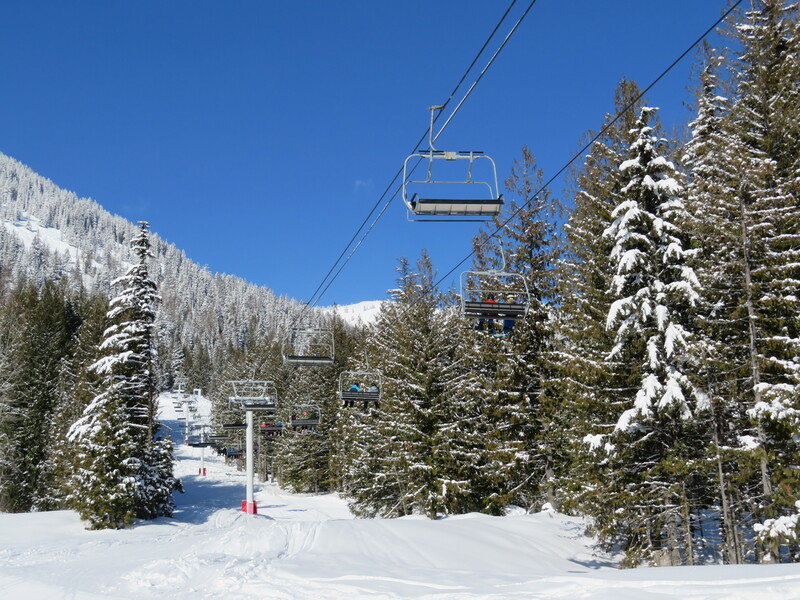 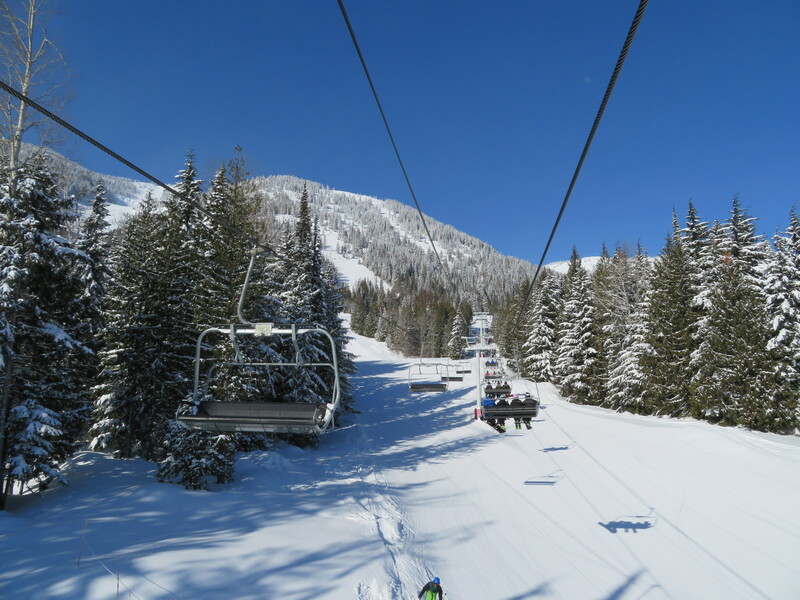 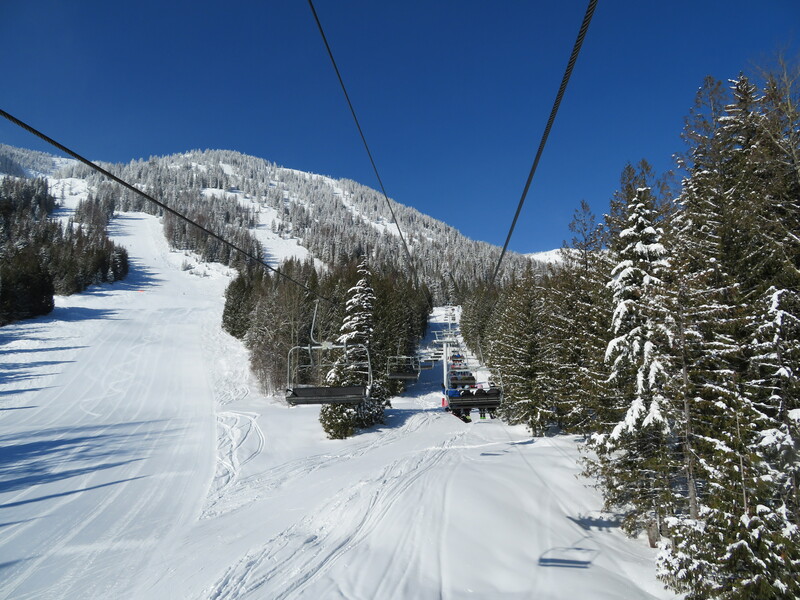 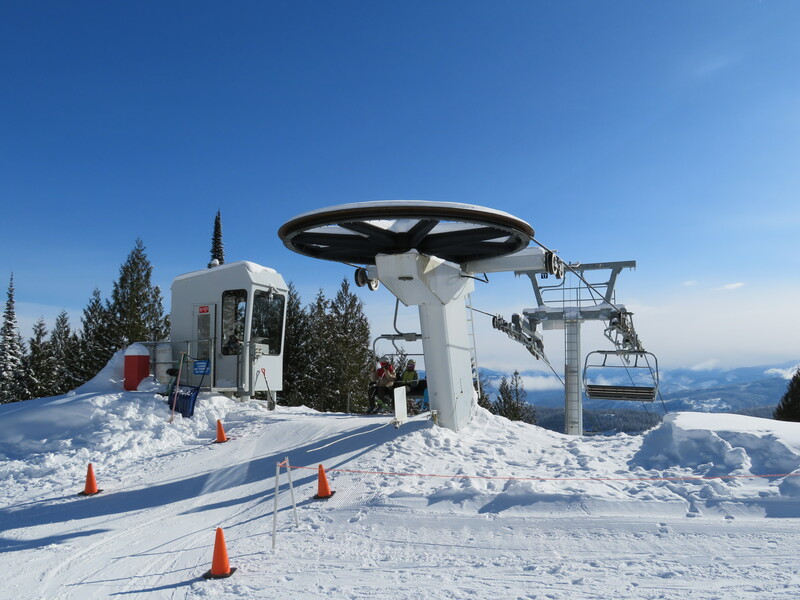 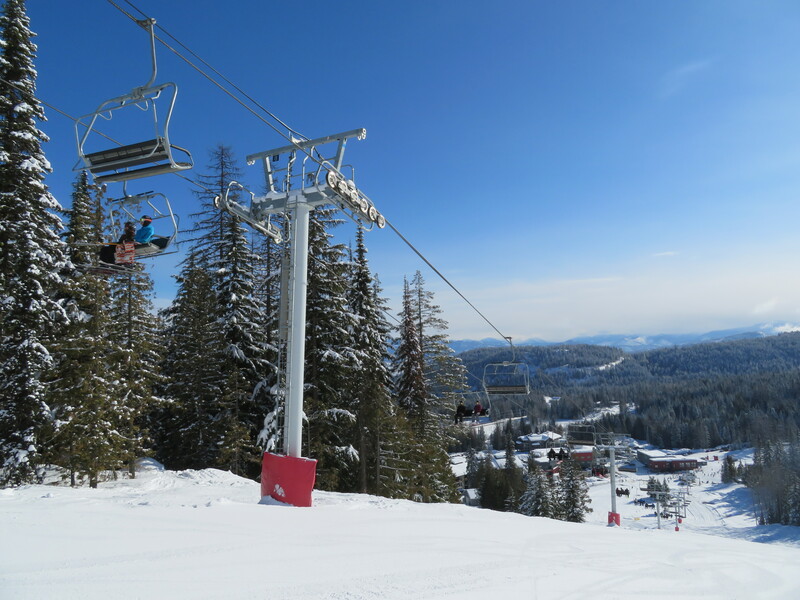 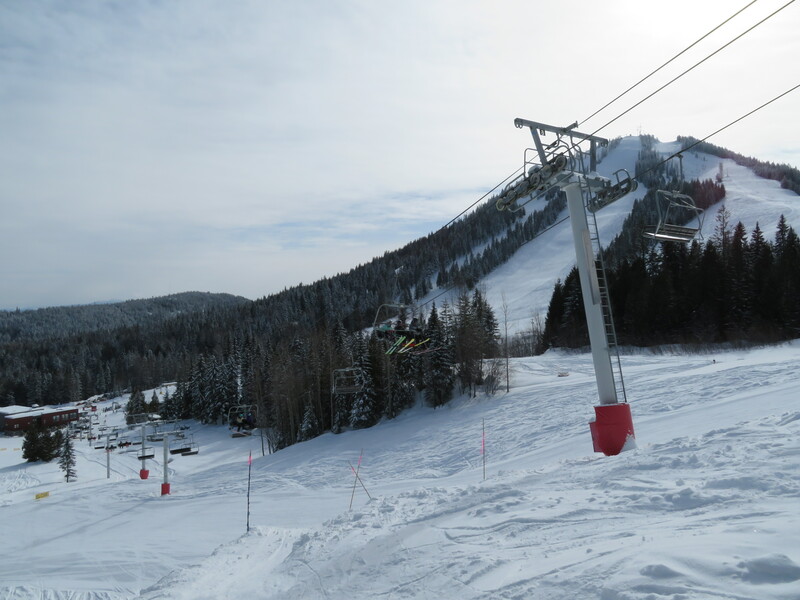 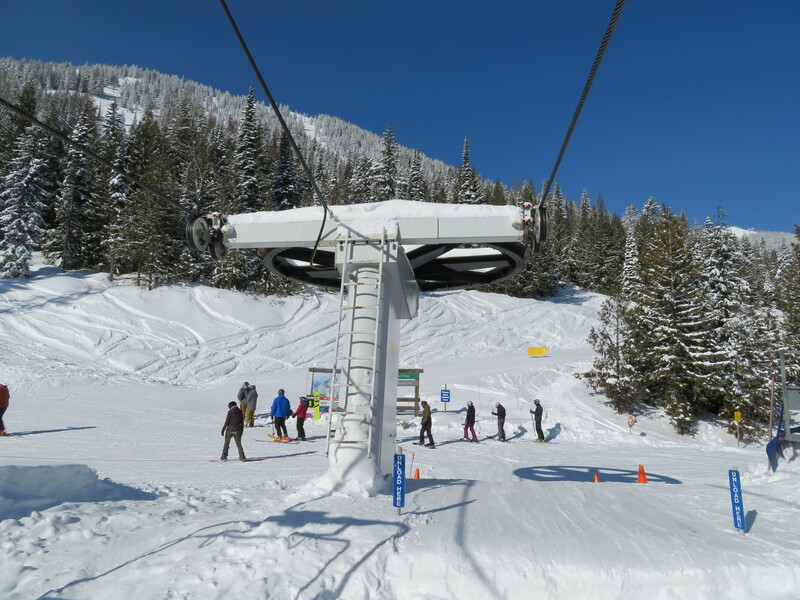 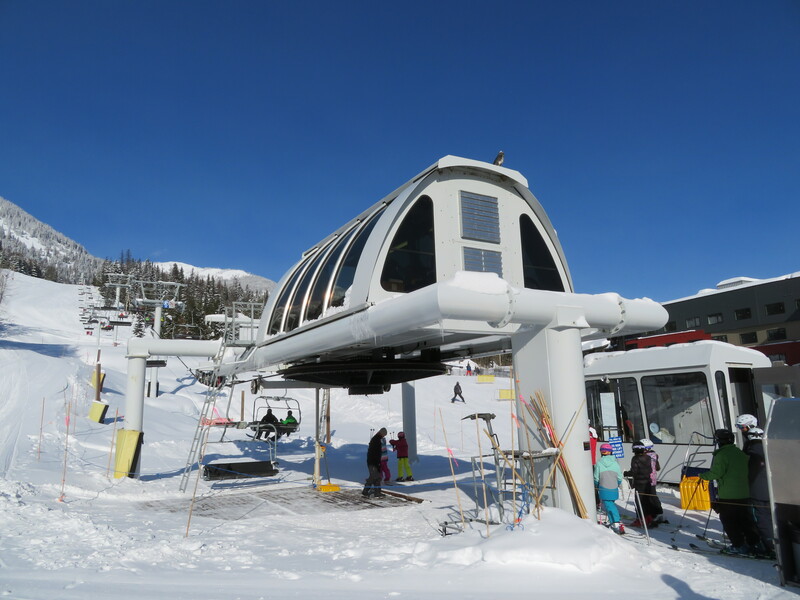 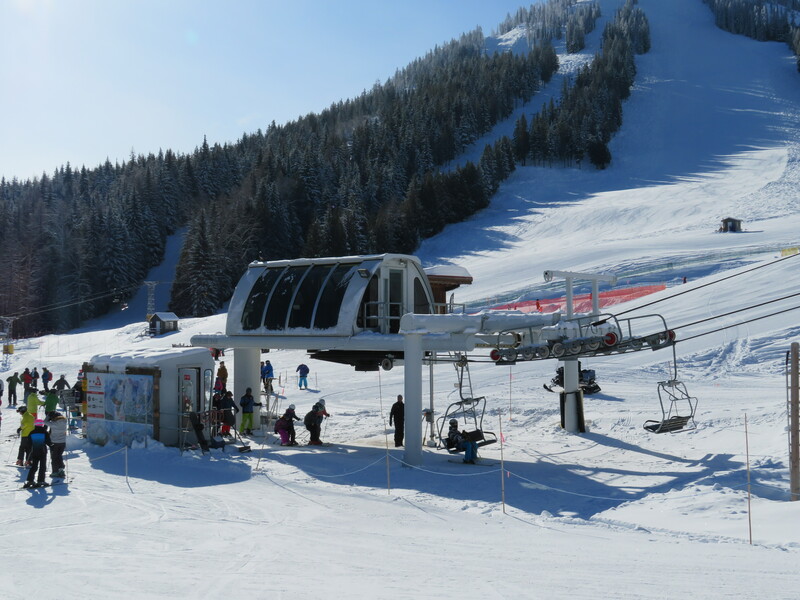 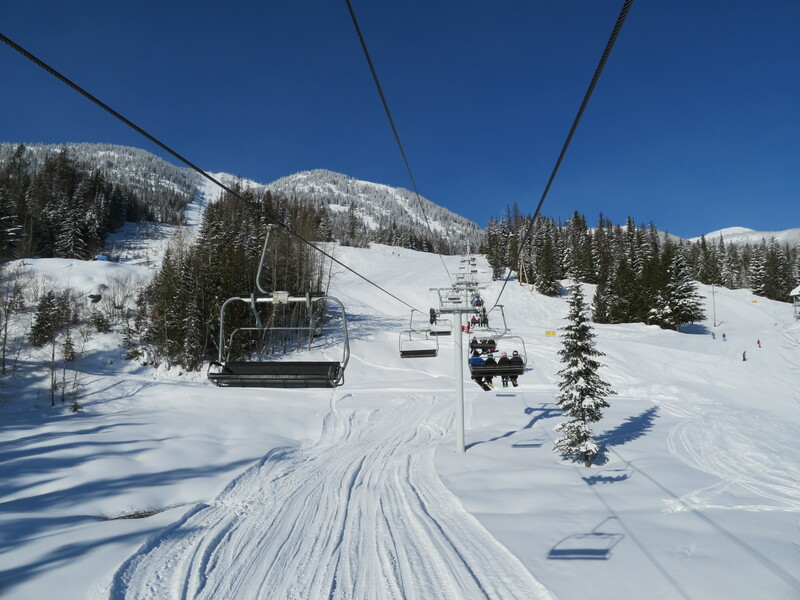 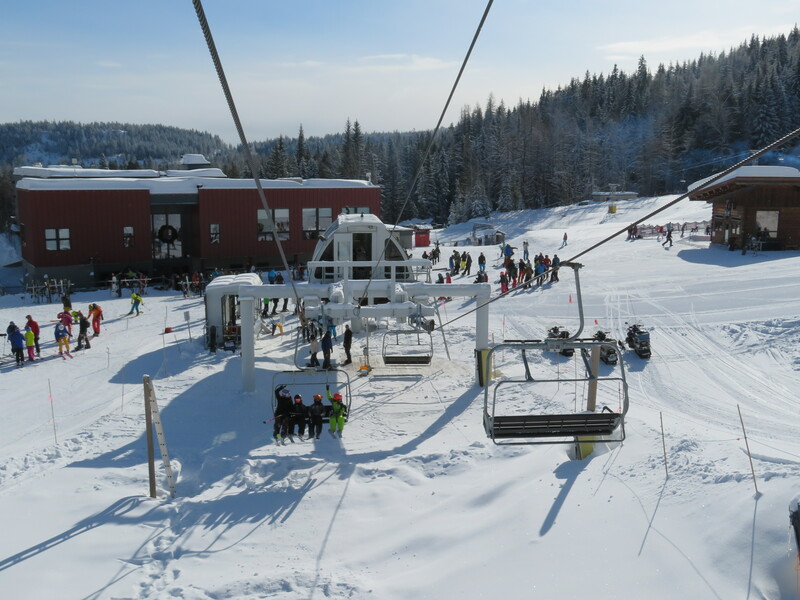 This lift replaced the Silverlode triple chair in a completely new alignment in 2007. 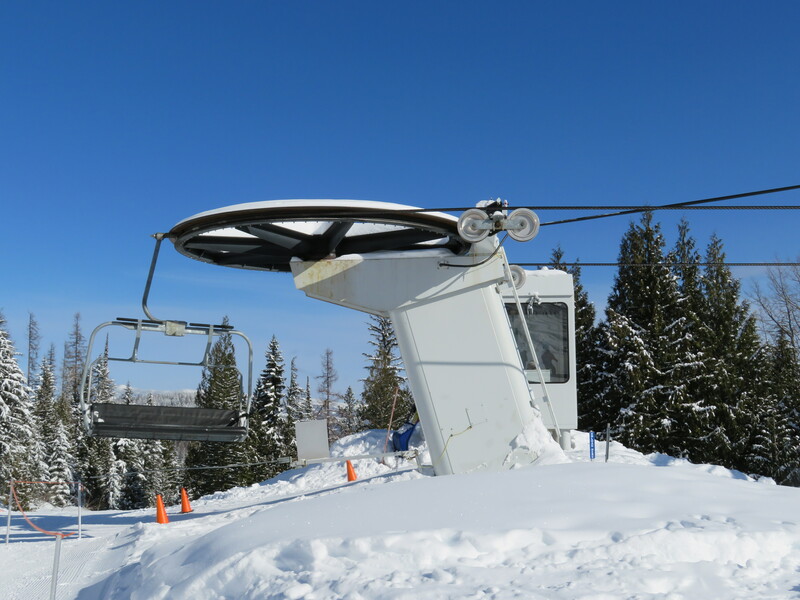 Bottom terminal with drive and tensioning systems. 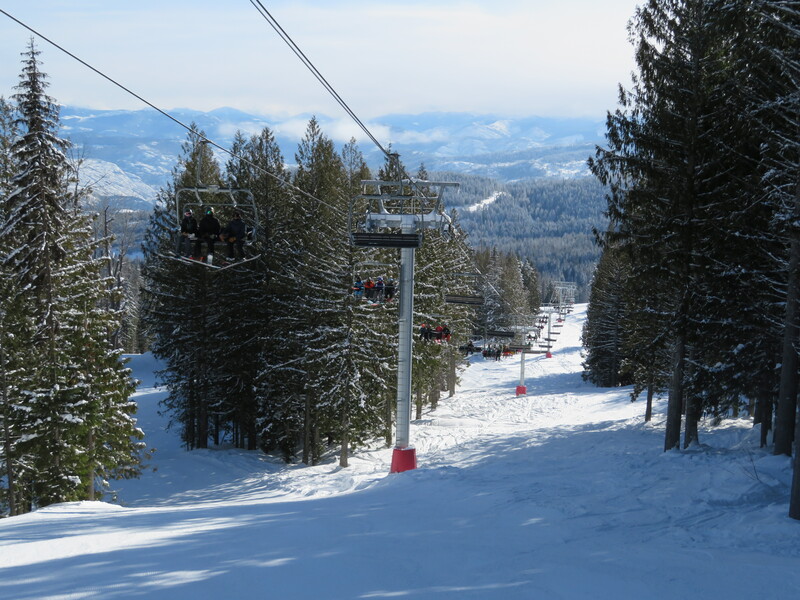 View up from the first section of the line. 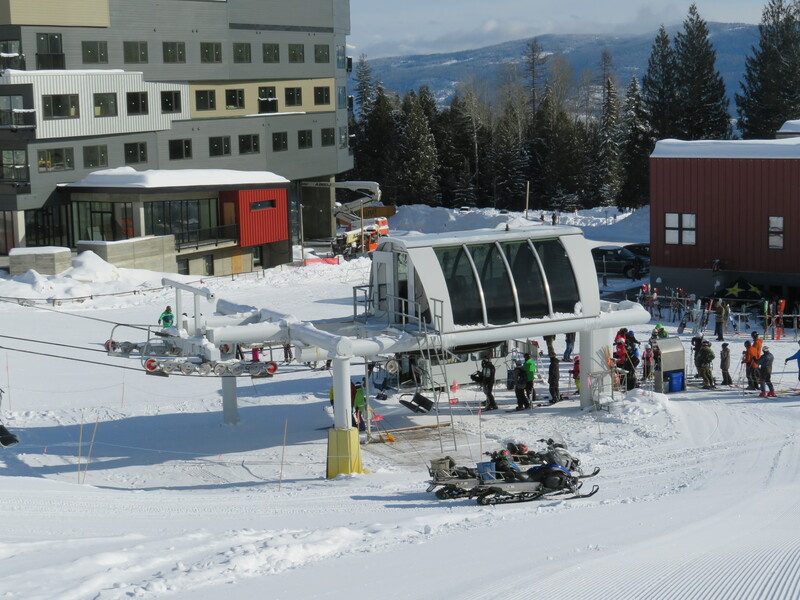 Another view of the lower lift line.